We are based in Burton-on-Trent, in the Midlands, but operate throughout the United Kingdom supplying products suitable for the domestic, industrial, commercial and leisure sectors. 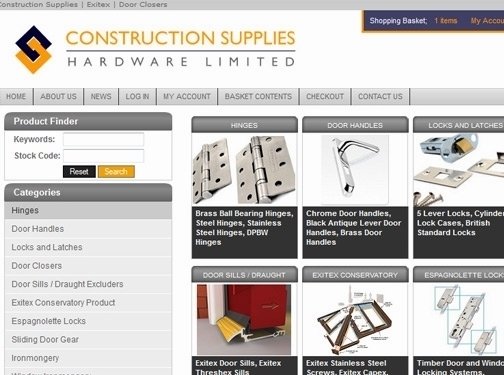 Construction Supplies Hardware Ltd are committed to supplying quality products at competitive prices and aims to always put the customer first. UK (Burton On Trent) based company - established in 1979 - providing construction related products for sale. Website includes e-commerce facilities, terms and conditions (which contact delivery and returns information), news section, contact form.